Catrin | May our skin grow beautiful, as we grow wiser. 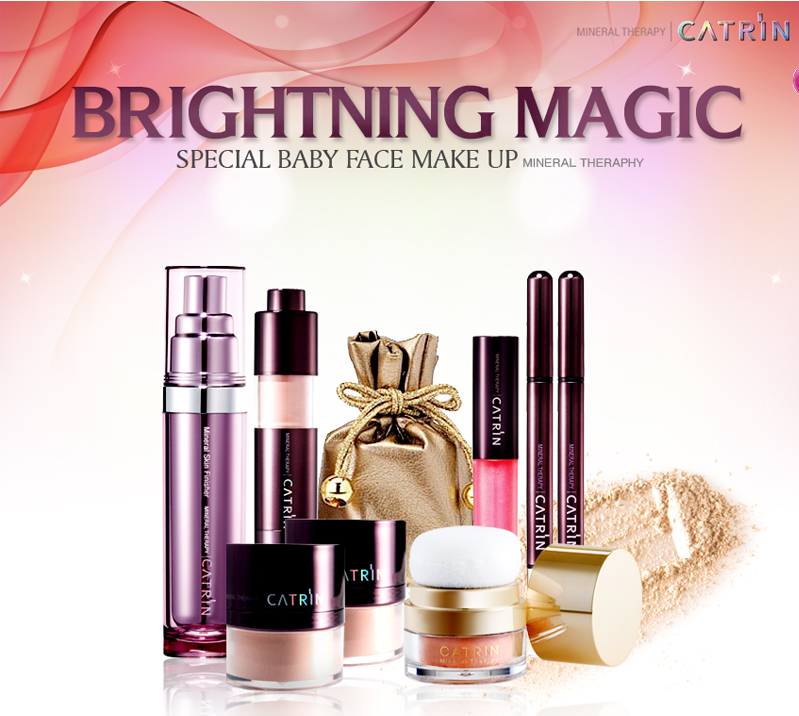 Catrin is a rather new mineral make-up brand that has been becoming rather popular as of lately. It does remind me a little of Kanebo’s Kate. This is a make-up base which can perform as a BB Cream too. This is a mineral spot concealer that helps cover blemishes, dark circles,flaws etc. It provides long lasting coverage and leaves skin flawless. This is the star product and the most famous product off this brand. This 100% mineral powder helps with sebum excretion and absorbs excess sebum. Contains amethyst crystals, 10 differen types of natural minerals and is free from talk and artificial coloring. It also contains zinc oxide and titanium dioxide which acts as sun-protector. Provides natural coverage to give you flawless even skintone. Blooming Mineral adds radiance to your cheeks with soft, blendable cheek colors. It is formulated with long lasting, stay-true pigments that provides a luminous and natural looking flush to the cheeks. Finish up with a bright lip gloss that helps moisturize your lips while making it look luscious and bright.